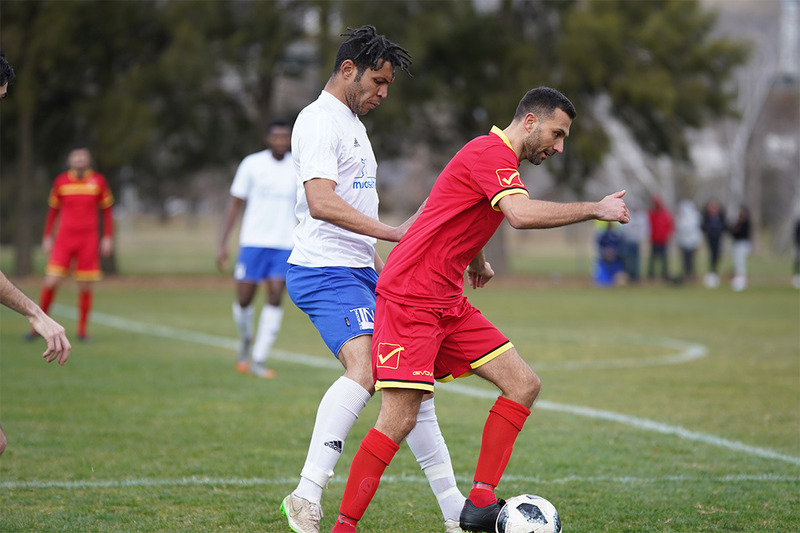 Queanbeyan City stormed from finishing seventh in 2017 to claiming the Capital League Premiership by a point in 2018, and Head Coach Goran Josifovski is backing his team to keep improving as NPL2 gets set to kick-off in 2019. City spent much of the season trading places with White Eagles and O’Connor Knights on a desperately close table before a final round win against Southern Tablelands secured top spot but bowed out of the finals in straight sets against Eagles and then ANU FC. “Every season, you’re always looking to improve,” Josifovski said at Thursday’s National Premier Leagues Capital Football launch. Finishing top in 2018 has turned Queanbeyan City from the hunters into the hunted as teams begin to prepare for promotion at the end of the 2020 season, and Josifovski admitted he’s not sure which moniker he would rather. Josifovski’s side have had a strong pre-season including hosting the Maso Cup in Queanbeyan at the end of January and will begin their season with a massive Federation Cup tie against Canberra Olympic in the 31st March. Some could be forgiven for thinking teams will be treating pre-season cup ties as a warmup but Josifovski has no plans to go in half-heartedly. “We have always taken the cup competitions very seriously, and last year we met Gungahlin who were arguably lucky to get away with that game late on,” he said. “So, we will take it seriously, but there is a difference in quality, and we need to be realistic. “We’ll give it our best and whatever happens, happens. City hosted the Maso Cup in Queanbeyan towards the end of January as part of their preparations, and Josifovski believes his team is in a good spot ahead of the campaign. “We hosted the Maso Cup which went really well, there were some good quality sides there, so we’ve got those under our belt,” he said. Queanbeyan City will open their NPL2 campaign away to Southern Tablelands United on Sunday, 7th April at Cookbundoon.